The Outlander series comes to the office! 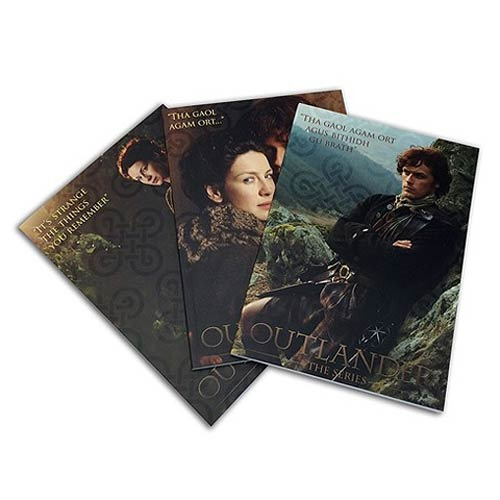 This Outlander Collector Notebook Set 3-Pack contains 3 notebooks with different covers as a shrink-wrapped set. Each notebook features 100 college-ruled pages and an Outlander thistle crest on each page. Measures 10 3/4-inches x 7-inches.